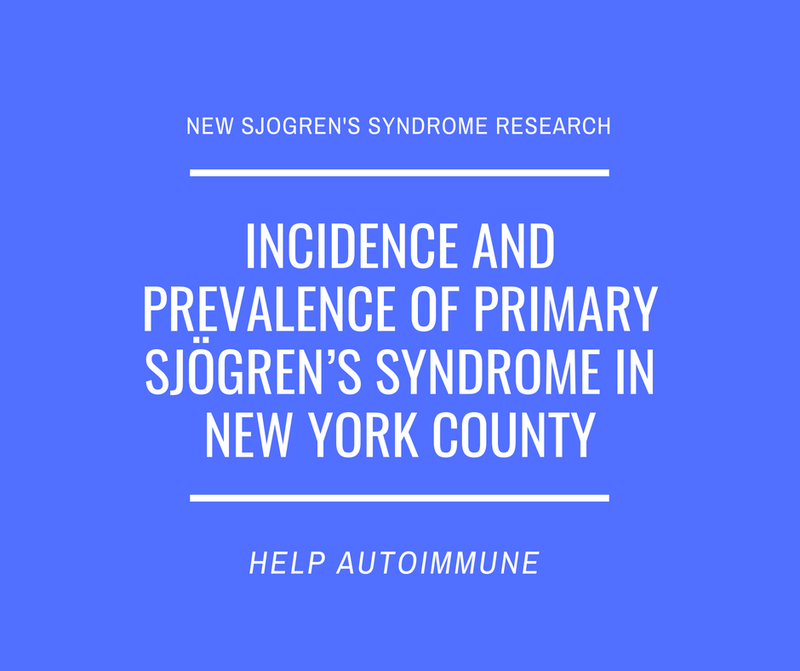 This study, “The Incidence and Prevalence of Adult Primary Sjögren’s Syndrome in New York County,” was published in the journal Arthritis Care & Research in July 2018. 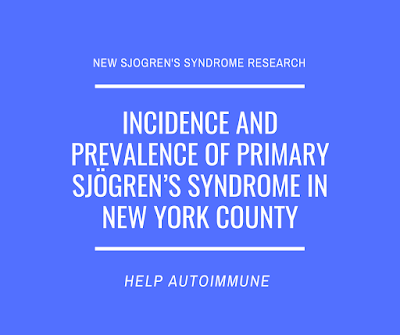 There is not much information on how Sjögren’s syndrome affects patients with different ethnicities or races in the U.S. The Manhattan Lupus Surveillance Program (MLSP) is a population‐based retrospective registry of cases with Systemic Lupus Erythematosus and related diseases including primary Sjögren’s syndrome (pSS) in Manhattan, NY, USA. It was used to provide estimates of both the incidence and prevalence of pSS across major racial/ethnic populations. Incidence means the rate of occurrence of new cases of a particular disease in a population being studied. Prevalence means the percentage of a population that is affected with a particular disease at a given time. Based on physician diagnosis, incidence and prevalence rates were approximately 6 times higher among women than men. Incidence of pSS was statistically higher among non‐Latina Asian and non‐Latina White women compared with Latina women. Non-Hispanic Asian women had the highest incidence rate, followed by non-Hispanic white women, non-Hispanic black women, and Hispanic women. Prevalence of pSS did not differ by race/ethnicity.